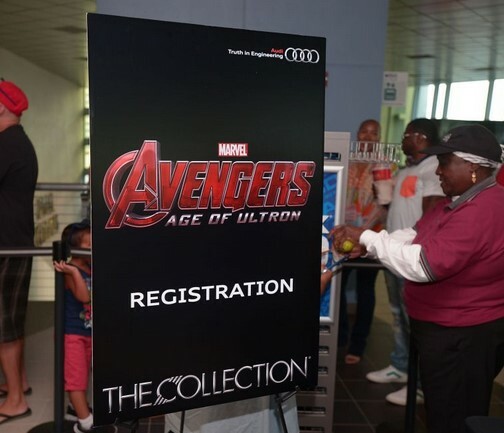 Avengers: Age of Ultron hit theaters last month and to celebrate the highly-anticipated film Ugo Colombo’s THE COLLECTION invited its Audi enthusiasts to a private screening. Guests were treated to a private theater and complimentary concessions of their choice. The highly-anticipated film features the next generation 2016 Audi R8, 2015 Audi TTS and the 2015 Audi A3 Cabriolet vehicles alongside the next generation of Avengers characters. The all-new 2nd generation R8 and 3rd generation TTS have, like the Avengers themselves, become icons in popular culture. The R8, which made its initial debut in Iron Man, returns as an even more powerful supercar, while the iconic Audi TTS makes its big screen debut as a completely redesigned coupe. This entry was posted in News and tagged Age of Ultron, Audi, Avengers, The Collection, Ugo Colombo on June 20, 2015 by Ugo Colombo.